The Digital Diaspora is an exhibition organised in collaboration with Short Circuit and Studio 44. Based on the topics of unity and division this timely project lays particular emphasis on Europe as its arrival marks 30 years of the fall of the Berlin Wall and the subsequent overthrow of Communist rule. Providing an opportunity to reflect on the collapse of the Soviet Union and the opening up of Eastern Europe, the exhibition also contrastingly takes place during the British Exit from the European Union. Through performative action, immersive and interactive measures, artists’ work directly responds to the current socio-political climate of the continent addressing key issues of migration, borders, territory, cultural identity, belonging and isolation. Most artists in the exhibition reveal a deeply personal connection to their work through direct associations with their cultural backgrounds, personal histories or relationships cultivated over many years of ethnographic research. In the new work ‘Mapping Through Network Technologies’, Jens Masimov continues to explore his Armenian, Swedish, and Finnish heritage and history. A home server acts as a virtual headspace wherein a reality and a simulation intertwine. The server will be accessible 24/7 for anyone with internet access. This open-source way of working and distribution mirrors Masimov’s lived experiences and emotions concerning mixed identities and the constant multidirectional motion that ensues. Referencing video game aesthetics, Anna Jochymek’s three-channel video installation depicts the artist navigating the streets of London, following the Roman Wall that demarcates the first border of city, dressed as an inline-skating soldier in her father’s old military uniform. Borrowing the title from Elias Canetti’s noted tome ‘Mass and Power’ the artist’s work ‘Crowd Crystal (in progress)’ seeks to create a subtle shift in the environment from the position of the migrant. Other works take a more cynical stance ridiculing the mass media for amplifying public anxiety through fear-mongering tactics as seen in Tamara Kametani’s work ‘Total Security Life’, a fictional company specialising in security solutions. The work is compounded in the form of a CGI film modelled using corporate and advertising aesthetics, a website and a commercial trade fair stand that sells walls to keep unwanted people out. Zoë Aiano’s film ‘Skywalker’ features a group of witches from Eastern Serbia who are trained in issues related to crossing borders, offering guidance on how to secure foreign papers and casting spells to facilitate freedom of movement. This specially commissioned project also addresses the speculation surrounding the Brexit phenomenon by asking the witches to predict the outcome. Mirroring the physical movement of the diasporic communities, the artworks will also migrate in an attempt to bypass physical boundaries and establish more human and digital connections. This innovative structure requires artworks to arrive at each exhibition venue independently using the internet as a conduit. Artists working with digital media and moving image have been selected as their interdisciplinary mode of practice produces work in a pre-digitised format. Artworks will be transported via the internet to re-materialise at the Studio 44 exhibition space in Stockholm. This process aims to produce an aesthetic cloning of the same grouping of works as they are received at both venues and proposes a fluid, experimental approach of exhibition-making that allows the artworks to continually ebb and flow between physical and virtual forms and thresholds. This method enables the sharing of new ideas, draws connections between artists across geographical boundaries, attracts new audiences and allows for the diffusion of knowledge and local cultures. It meanwhile opens up a continued international dialogue between artists and curators and ultimately promotes transnational partnership and mobility. 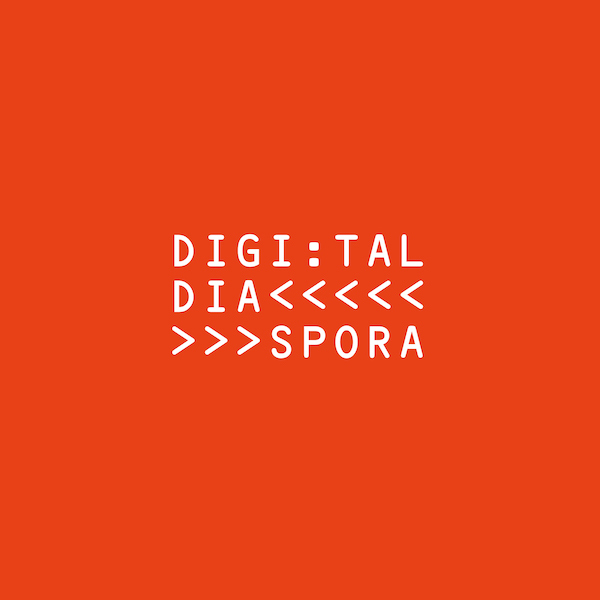 The Digital Diaspora will open at Centrala in Birmingham on 1 March 2019 and Studio 44 in Stockholm on 15 March 2019 presenting itself to two different European audiences – one remaining in the EU and the other in pursuit of its former sovereignty and independence.